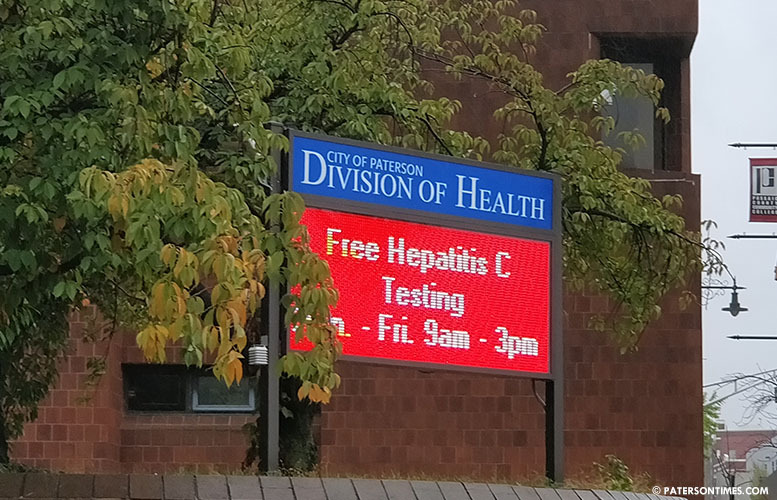 Health officials interviewed 67 people and provided prophylaxis treatment against meningitis to 38 people, said Paul Persaud, director of the city’s health department, on Monday afternoon. The count does not include St. Joseph’s Regional Medical Center employees who received treatment following potential exposure. The New Jersey Department of Health and the Paterson Department of Health and Human Services began to provide preventative treatment against bacterial meningitis, an illness caused by the bacteria Neisseria meningitidis, often referred to as meningococcus, last Thursday in response to the death of Jameek Lowery. Lowery had been suffering from a suspected case of bacterial meningitis for some time, according to law enforcement officials. He died last Monday morning following a series of bizarre events. He called 911 early Saturday morning from his home and told a dispatcher he had taken too many ecstasy pills and needed an ambulance to take him to the hospital. He arrived at the hospital, but became “erratic” and left. Lowery live streamed a video presaging his own death. He called 911 a third time from the police station. Police also requested an ambulance to take Lowery to the hospital. He walked into the ambulance. Inside, police had to use physical force to restrain him. He arrived at the hospital unresponsive. It is not clear what happened from the time Lowery got into the ambulance to the time he arrived at the hospital. His family has been demanding answers. Multiple nights of protest, including a mini riot Tuesday night, rocked the city last week. Fresh protests are scheduled for Tuesday night at City Hall. Municipal officials continue to wait for the autopsy report which will contain the cause of Lowery’s death. Lowery may have become infectious to others on Dec. 29, 2018. Those who came in close contact with him have been urged to receive antibiotics to prevent infection. Meningococcal is spread by sharing respiratory and throat secretions, saliva or spit. It takes close or lengthy contact like coughing or kissing to spread the bacteria. * Altered mental status (confusion). Mayor Andre Sayegh and police director Jerry Speziale, who came in contact with Lowery, have received treatment. The news of the suspected case has frightened some people, including police officers who came in contact with Lowery. Protests crowds have also thinned following the news of the disease. Anyone who came in close contact and suspects having contracted the diseases should call the health department at 973-321-1277 for an evaluation to determine whether they require chemoprophylaxis.